How to Add Watermark to Images in WordPress? 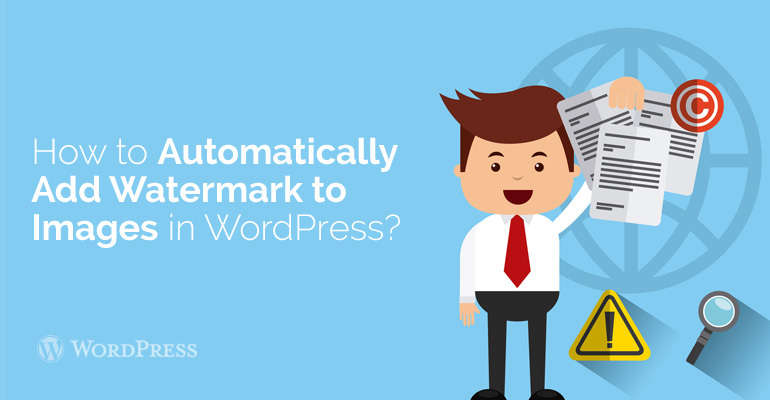 General wordpress How to Automatically Add Watermark to Images in WordPress? 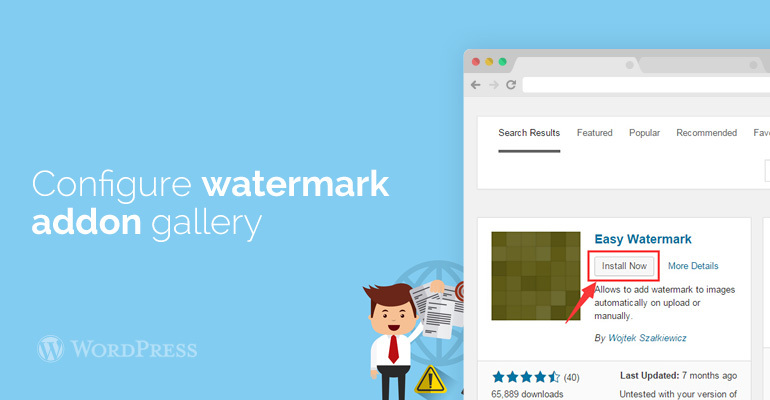 Do you want to add a watermark to images in WordPress? Many photographers and artists use watermarks to prevent unauthorized use of their images. 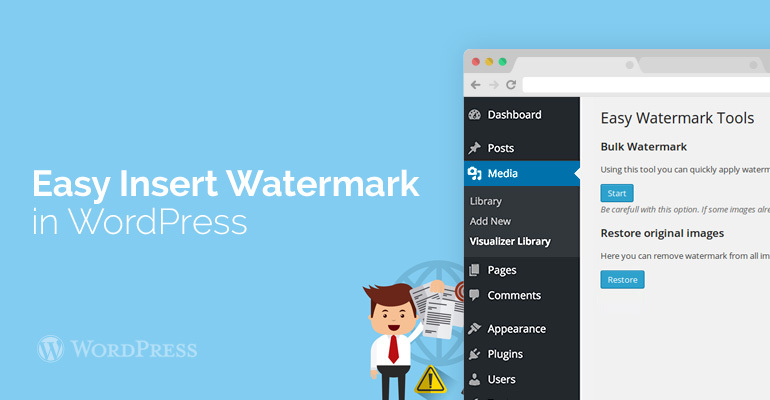 In this article, we’ll show you how to automatically add watermarks to images in WordPress. Many artists and professional photographers use watermarks to their work is not appropriated by others. 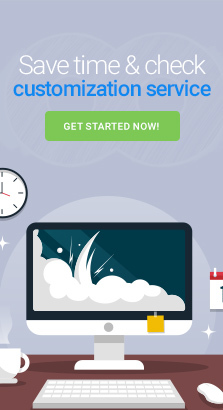 Our experts will tell you in detail how to add a watermark in an automated manner. This gallery is one of the best plug-ins on the market. You can use it to create unique images for your mobile WordPres site. Initially, you install the plugin, then you activate it. To do everything the right way, check out our step by step instructions for installing the plugin. After you activate the plugin, go to the settings and enter the license key. You can get this key directly on the plugin website. After you check it, scroll down or click the search box to find addon watermarking. Then install and activate the key. Now you can easily add images in the gallery. They will have a watermark. Just go into the program, add what you need and create your first gallery with pictures. Scroll down to see the watermark. When you click on them, you open Settings, where you can create new ones. There will be presented a lot of different options for a watermark. Select the watermark and upload the image to be used with this sign. The situation can change the mark. When you add a watermark, you can add images. Select the files saved on the computer. 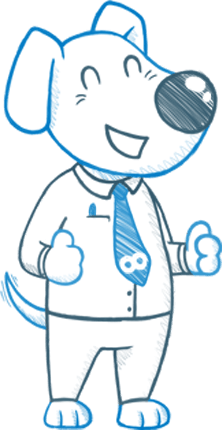 To learn how to create a new gallery can be found in our detailed instructions. After the image is published and may be used on any web page. Seems you did not register purchase code for How to Automatically Add Watermark to Images in WordPress? to be able to create a topic on this forum.